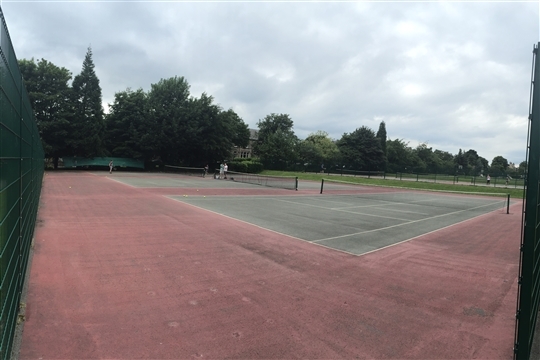 Greenhead Park in Huddersfield has 9 public tennis courts which are free to access throughout the year! There is an online booking system to make it much easier for you to guarantee a court when you arrive, rather than turn up hoping to find a spare court. It should help to reduce the waiting time for a court when it’s busy. 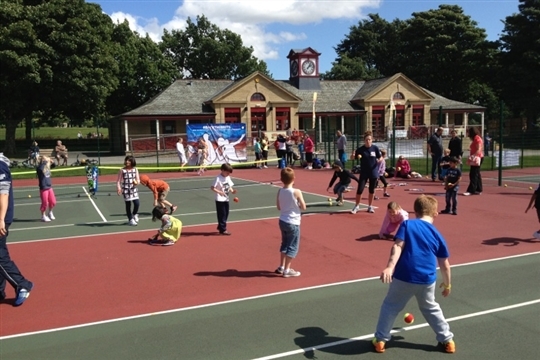 We hope this may help you enjoy your tennis more, particularly at peak times. By registering, and then using this booking system it will help us to know how well the courts are being used and when they are used – information which will help us when it comes to finding money to refurbish the courts in the future. So that you can learn how to improve your skills there will be weekly adult coaching sessions run by qualified licensed LTA coaches. New players of any age or standard are always welcome and no previous playing experience is necessary. Please go to coaching page for more information on the coaching programme. If you forget to book then you can access the site from your mobile phone - just download the APP 'Clubspark - Booker' after you have registered.